This Waterslide 18ft is a awesome slide. 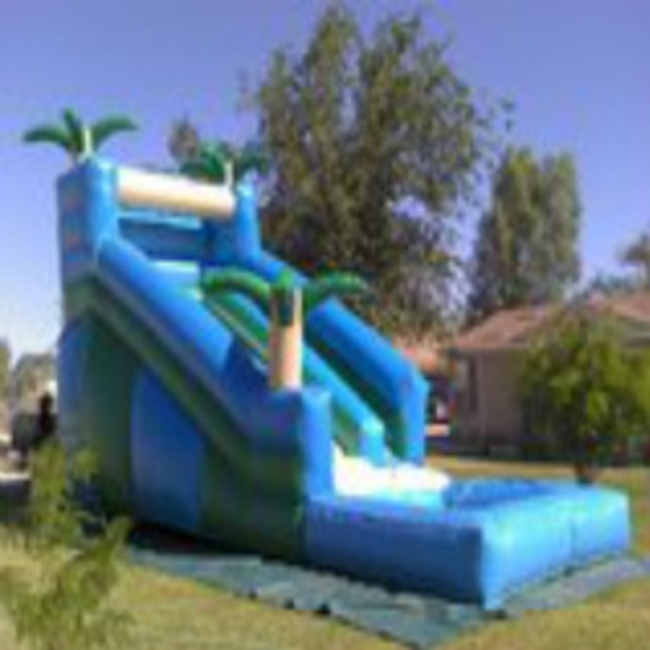 Front load climber to the slide and down into a small splash pool area. Recommend 3 kids at a time, one sliding, one climbing and one entering.